NEW Clients 30 Days Unlimited Classes for $99! The Bar Method St. Louis - Town and Country is a boutique fitness studio offering barre classes for students of all levels. The signature method uses your own body weight, the ballet barre and a few props to create a transformative workout that results in long, lean sculpted muscles. Not only does it reshape your entire body, but it allows you to channel your inner strength and leave class feeling strong, confident and poised. Highly-trained instructors customize the exercises to ensure they are safe and effective for any age and every body, including modifications for pregnant women and students with injuries. Our staff and community are here to support you from the moment you walk through the door. 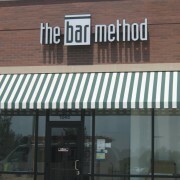 The Bar Method St. Louis has 2 locations, Brentwood and Town & Country. 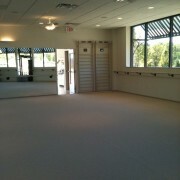 In 2010 Bar Method opened as the first barre based studio in StL. 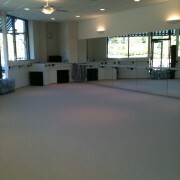 Between the two studios, we offer 80 classes per week taught by our fabulous team of well trained instructors. Mixed level (1 hour) and Express (45 min) are both open to all levels. Bar Move requires 30 previous bar method classes. Jessica Prasse found The Bar Method in 2004 while living in San Francisco. She was an avid workout girl: spinning, running, personal training, kickboxing, yoga, etc. You name it...she did it! But when she discovered The Bar Method, that all changed. One hour of strength training, core work, stretching, and a ballet bar to fulfill her childhood dream of dancing...SOLD! Add in great music and knowledgeable instructors and she gave up all previous workouts. Her body loved Bar just as much, finally seeing the results she had been working so hard for: lean muscles, strength, flexibility and a mind-body connection. She can’t wait to share it with you! While walk-ins are welcome, class sizes are limited and can be sold out. We recommend reserving classes online or The Bar Method app in order to guarantee your spot in class. 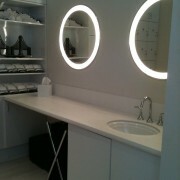 Reservations are studio specific and can be made up to 30 days in advance. If you’d like to attend a class that is full, please put yourself on the waitlist. As soon as a spot opens up in class, you will receive either an email or text notification. If you cannot attend class, cancel your class online or on The Bar Method app to avoid being charged for a no-show. AM morning classes require cancellation by 10pm the night prior to avoid a penalty. All PM classes require cancellation 2 hours in advance. Everybody gets 2 free late cancels/ no shows per calendar year. If you are using a class package, a no-show or cancellation after the above cutoff window results in a loss of that class. If you are using a membership package, your account will be charged $15. First time students may not enter a class late. Arriving 5-10 minutes early is highly recommended. Please do not bring glass or uncapped drinks into the exercise studios. Capped water bottles are allowed. No colored beverages. We provide towels without charge. Hand towels are available in locker room. Please leave your towel in the hampers on your way out. No talking in class. Please be respectful of fellow students and your instructor. If you need to leave early, please do so before backdancing as to not to disturb final stretch. We also recommend that pregnant clients avoid Bar Move classes. Clients under 18 must be accompanied by an adult or have a release form signed by adult. Please notify front desk staff and instructors of any injury that may impact your ability to exercise. In some cases, a doctor’s note may be required to allow you to take class. Please review this with instructor prior to class so they can guide you through andy necessary modifications. We have ample, easy parking for the studio. All sales on Bar Method classes are final and non transferrable.